Our range of products include volumetric bakery divider, dough divider, bun rounding divider, exagonal divider, square divider and round basket divider. Loaf sizes are steplessly selected by means of a useful handwheel and values are shown on a special display. 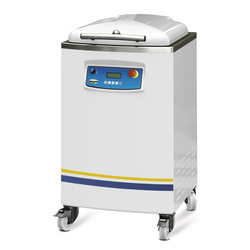 output can be continually controlled and adjiusted, and ranges from 900 min to 2700 pcs/hr max, which places such dividing machine among the most efficient ones. Thanks to its height-adjustable conveyor belt, available in two different lenghts, the machine is ideal for a wide range of applications. By keeping in mind the universally accepted market standards, we are exclusively engaged in offering Bun Rounding Divider. The given product is precisely designed by vendor’s professionals utilizing superior quality components and by following set industry guidelines. Our product is acclaimed in the market owing to its features like longer service life and reliable functionality. Moreover, this product is carefully tested on international quality standards by experts to assure its flawlessness. We are backed by a team of highly trained professionals and are successfully providing Exagonal Divider. 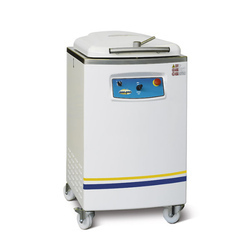 Suitable for the cutting of dough for rolls and cakes, the offered divider is developed by utilizing the optimum quality components and leading techniques keeping in mind the set standard of market. Also, our offered divider undergoes various tests under the supervision of vendor’s quality controllers, so as to make certain its flawlessness. Besides, this divider is available as per client's specifications. With our consistent focus on globally hit trend, we proudly introduce a wide range of Square Divider. Our provided square divider is examined in terms of quality in order to supply a flawless range. In addition to this, we provide this square divider in different specifications, in order to meet varied needs of clients. 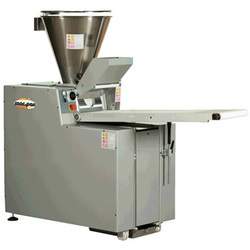 Also, this square divider is provided with a time-control so that even the toughest dough can be spread. Backed with a team of immensely creative engineers and adroit professionals, we are involved in providing Round Basket Divider. 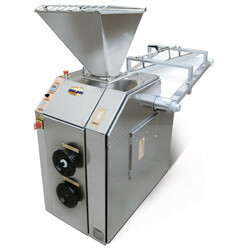 Offered divider is developed with high grade components and modern technology under the direction of vendor’s experts. Our divider is high on demand in the market for its infinite features. Customers can easily avail this divider from us at competitive rates within given period of time. 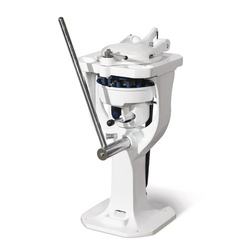 This machine is suitable for working all types of dough ; perfectly cut pieces of equal weight can be obtained by means of symple operation. Completely manual working. Structure of outlined steel and thick painted sheet metal panels. Bowl, knives and cover flat part of stainless steel. Pressure plates of acetalic resin for food use. Movements by means of levels, obtaining excellent results with minimum manual work. 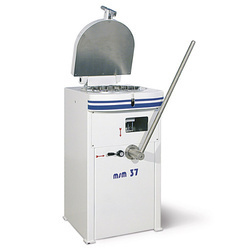 The MSRS range Bun Rounding Divider has been conceived to obtain round buns of variable weights very rapidly. The production range features six versions for 15/20/22/30/36/52 pieces. 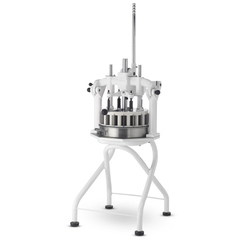 Thanks to the rational and attentive design it is possible to obtain, with simple operations, perfectly cut and rounded pieces, without altering the rising process of the dough. 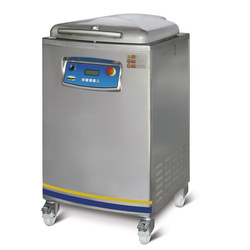 With this machine it is possible to process any type of dough, obtaining good results in every case, as the pressing operation is done manually and is therefore proportionate to the density of the dough being processed. The machine is self lufrification. 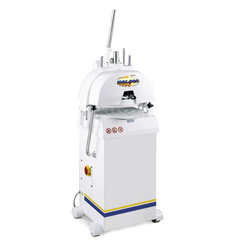 Without any modification, the machine can be used only as divider. The electrical system complies with CE Standards. 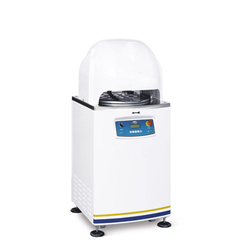 Models MSRS 30/ MSRS 20/MSRS 36 are with gear box that contqains an oil bath wich automatically lubrificates all parts of the mechanism, so as to guarantee an extended machine life. 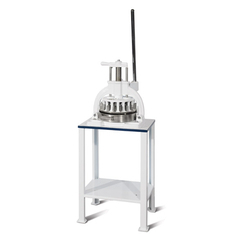 Looking for Dough Divider ?